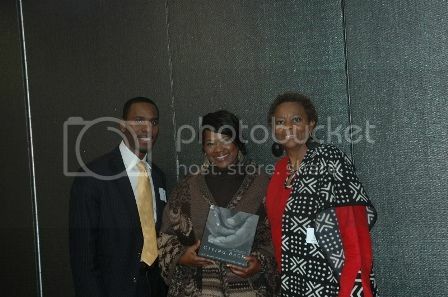 WASHINGTON, DC - On December 5, 2011, the Black Philanthropic Alliance (BPA) hosted its annual meeting at PNC Bank Place featuring keynote speaker Valaida Fullwood, author of Giving Back: A Tribute to Generations of African American Philanthropists, and honoring yours truly with their first ever Legacy Award, for my work in black philanthropy by creating The Black Benefactors and BlackGivesBack.com. It was truly an honor to be the recipient of this inaugural recognition from a network of philanthropy and nonprofit professionals who work to strengthen and connect the Black community in the Washington, DC region. As many of you know, Valaida is our Charlotte, NC contributor and she is a founding member of the Charlotte based giving circle, New Generation of African American Philanthropists. Valaida shared with the audience how the idea for her book came about, stories of interview subjects, insights she learned along the way about giving in the black community, and recited an original poem featured in the book titled, Truth Be Told. Following the keynote and award presentation, ten lucky guests won a copy of the book, that was recently submitted for a NAACP Image Award nomination under the non-fiction category. 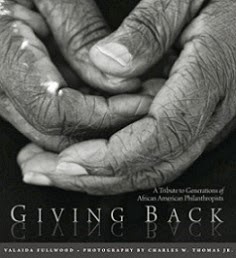 BPA's work has grown since its inception in 2002, by launching a giving circle, The Black Benefactors in 2007, and by redefining its membership to include both Black professionals working in and supporting the philanthropic and nonprofit sectors. With this bold step comes a renewed commitment to the original intent of its founders - empowering and connecting the black community. BPA leaders and members are committed to providing quality professional and leadership development opportunities for Black professionals working in the nonprofit and philanthropic sectors; raising issues that directly impact the Black community and creating opportunities for increased discourse and action; increasing Black representation on the boards and staffs of nonprofit and philanthropic institutions; increasing individual giving to Black-led and Black-serving nonprofit organizations and increasing their access to local and national funding opportunities. This year, BPA launched the Peer Coaching Network, designed to provide professional development and enhance the leadership skills of BPA member executive directors, and the Nonprofit Board Leadership Development Program to recruit, train and place a cadre of African American leaders with the skills necessary to become effective members of local nonprofit boards in the DC region. 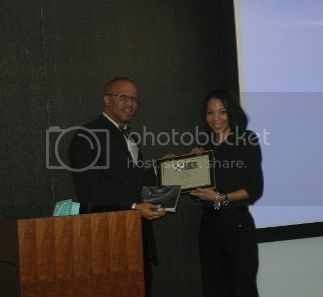 To learn more about BPA and upcoming events, visit www.blackphilanthropicalliance.org. BPA is a member of the Black Philanthropic Network, one of 11 regional affinity groups coordinated by the Association of Black Foundation Executives. 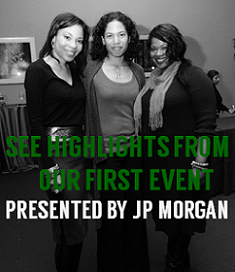 Read more highlights about the event in Black Philanthropic Alliance's newsletter HERE.